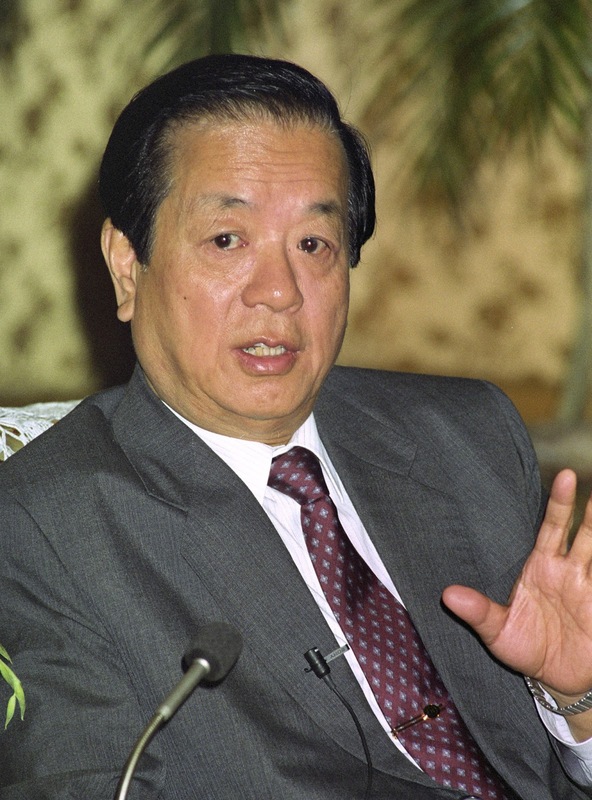 Former China Foreign Minister Qian Qichen [钱其琛] passed away a day or so ago. It already feels much longer, perhaps because Qian Qichen lived an extraordinary life, though he probably never saw himself as a hero. Qian was one of the remaining old guards in China’s foreign policy establishment, though the start of his tenure as a diplomat was probably more circumstance than career plan. Qian was studying Communist party doctrine in the Soviet Union at the Central School for Communist Youth in 1954, and was abruptly taken on as staff at the Chinese Embassy upon graduation. Qualified personnel for China’s Foreign Service were in short supply. 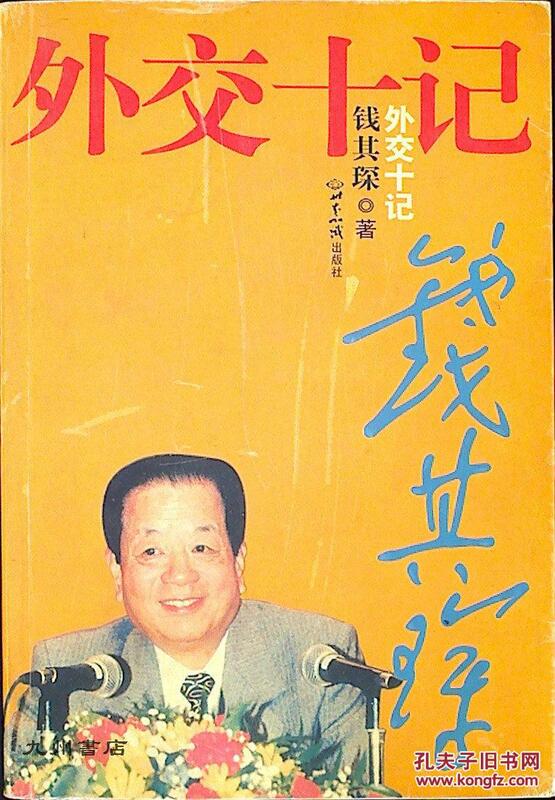 Plus, Qian’s revolutionary pedigree was beyond reproach, having bravely joined the Shanghai branch of the banned Communist Party as an 18 year-old journalist (along with future Chinese president Jiang Zemin [江泽民] and later Politburo member Qiao Shi [乔石]). That was an extraordinary decision early in a life that would be full of them. Qian made something of a name for himself as a reporter for Ta Kong Pao [大公报] the Communist party’s main newspaper before 1949, and he did extremely well in Moscow, first in charge of the liaison with Chinese students studying there and then as Second Secretary and later Deputy Section Chief. 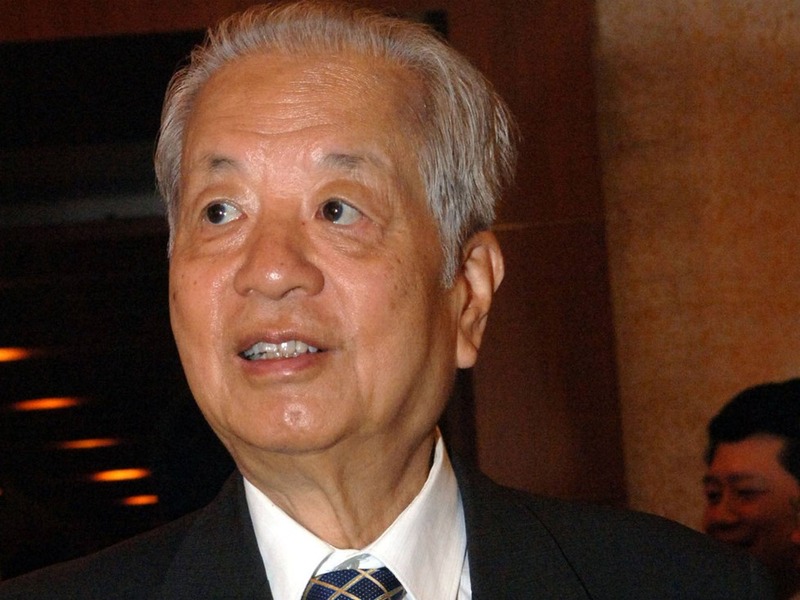 He remained there through the Sino-Soviet split and only returned home in 1964 to take up a senior post at the Ministry of Education when he and many of his colleagues were ordered back to Beijing. But even his record as an early revolutionary and stellar diplomat couldn’t save Qian from the ravages of the Cultural Revolution. Indeed, performing yeoman service in Russia probably made him more suspect in the eyes of The Great Helmsman and his gang, guaranteeing a term in one of the notorious May 7th Cadre Schools, named after Mao Zedong’s directive of the same date for party members to learn first-hand from the masses. Qian spent half a decade in what China historian Jonathan Spence called a “combination of incessant indoctrination with hard labor”, the only discernible benefit being that Qian would later work with other former officials with similar experiences who would also become major players in China’s rise. Upon his release in 1972, Qian was sent back to Moscow, where he rose to the rank of Counselor before being posted as Ambassador to Guinea (later Guinea-Bissau) from 1974-1976. By 1977, Mao was gone and Qian returned to Beijing to work at the Ministry of Foreign Affairs, becoming China’s Foreign Minister in 1988, and Vice-Premier on the State Council in 1993 until his retirement in 2003. Surely Qian’s ascent was no accident, a combination of resolve and good relations with his contemporaries. Like the diplomacy he practiced, Qian seemed eager to get on with doing whatever was next. Qian was a courteous but steely presence in China’s diplomacy, seeking Beijing’s involvement in major issues of the day. He was keen for Beijing to cooperate with other countries, but only when they saw China’s support for their policies as their acknowledgment of Beijing’s right to be an equal decision-maker in those policies. He never tired of lecturing foreign representatives and other listeners about China’s history as a victim of colonialism and exclusion, how that would not happen on his watch. Qian pushed for China to be a player in great-power diplomacy; he was less interested in assisting the developing world with its issues. Grand strategy in a new game was Qian’s focus, and he and Jiang largely abandoned Maoist notions of building socialism abroad and ideology or morality as motive forces. In that respect, it would not be wrong to call Qian Qichen China’s Henry Kissinger. At the same time, Qian conveyed no great vision for Chinese foreign policy—any more than his revolutionary compatriot, Jiang Zemin. 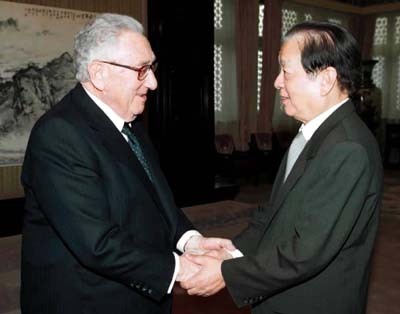 Jiang wanted to cast his own shadow, and he ran foreign policy; Qian was less the formulator than the facilitator. For both of them, the aim of getting China granted respect from the United States and European nations--a seat at the top table if not at its head--seemed sufficient for now. But not for their critics—and they grew more outspoken as the years went by. Political conservatives, hardliners, nationalist youth, some in China’s military here—they all bemoaned Beijing’s preoccupation with global prestige. 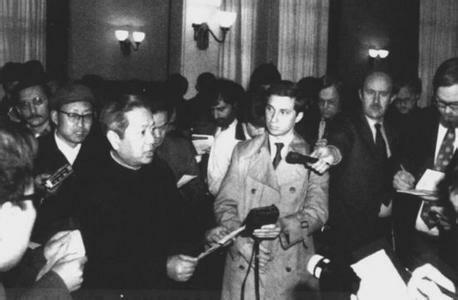 They argued that Washington and its allies were taking advantage of Qian’s focus on cooperation to strengthen independence forces on Taiwan, support color revolutions against Communist regimes in Europe, and prepare to use Hong Kong as a base for spreading Western-style democracy on the mainland after Britain’s 1997 handover. Qian’s critics pointed to the 1999 NATO bombing of the Chinese Embassy in Belgrade as the perfect example of Western perfidy—the reckoning for what some here saw as Qian fawning over a place for China in the multilateral New World Order, instead of trying to simply seize it unilaterally. Qian surely disagreed with that criticism, as his chronicles of Chinese foreign policy during his tenure make clear. As Robert Suettinger notes in his excellent analysis of the original Chinese edition, Qian motives for writing the book in retirement are unclear. But the English version at least reads as Qian doing so specifically to defend his diplomacy, including acknowledging what his detractors declare about the West: That it’s eager to conspire against Beijing, and can be a relentless adversary when it comes to China’s interests. The difference is that Qian thought that Washington and its allies could be dealt with using deftness and multilateralism, by Beijing being a collaborator with the West on some occasions, a competitor on others. Qian often talked about the United States being a hegemonic power; he seemed determined to prevent China from being one. Qian’s legacy deserves to be debated in the days ahead. But it likely won’t be: State media here will probably provide a neat narrative of Qian’s accomplishments and service by the end of the week, or the weekend at the latest. Whether or not his passing sparks some soul-searching here about China’s current course (on North Korea or the South China Sea, for example) will be interesting to see. What can be said now—and should be said--is that Qian Qichen’s courage and commitment to China’s transformation into a major diplomatic power made him more than a witness to history: He helped China to start to make its own history again--something quite heroic in itself.